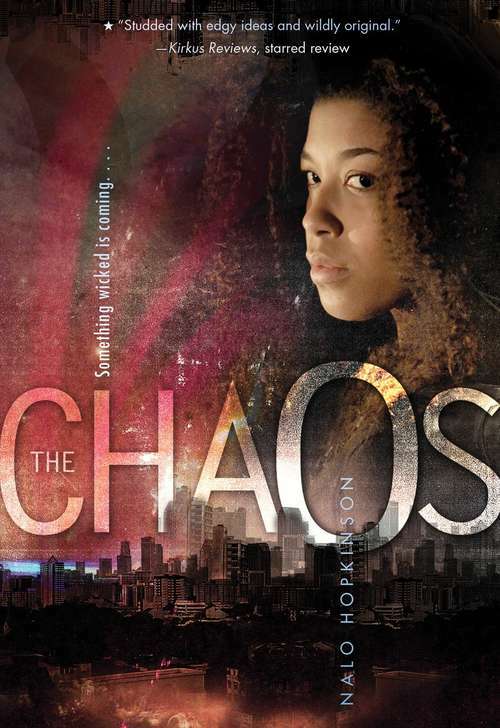 An acclaimed fantasy author navigates the world between myth and chaos in this compelling exploration of identity, told with a Caribbean lilt.Sixteen-year-old Scotch struggles to fit in--at home she's the perfect daughter, at school she's provocatively sassy, and thanks to her mixed heritage, she doesn't feel she belongs with the Caribbeans, whites, or blacks. And even more troubling, lately her skin is becoming covered in a sticky black substance that can't be removed. While trying to cope with this creepiness, she goes out with her brother--and he disappears. A mysterious bubble of light just swallows him up, and Scotch has no idea how to find him. Soon, the Chaos that has claimed her brother affects the city at large, until it seems like everyone is turning into crazy creatures. Scotch needs to get to the bottom of this supernatural situation ASAP before the Chaos consumes everything she's ever known--and she knows that the black shadowy entity that's begun trailing her every move is probably not going to help.A blend of fantasy and Caribbean folklore, at its heart this tale is about identity and self acceptance--because only by acknowledging her imperfections can Scotch hope to save her brother.